I knew I should have just booked a night, I don't know what pushed me to reserve two. 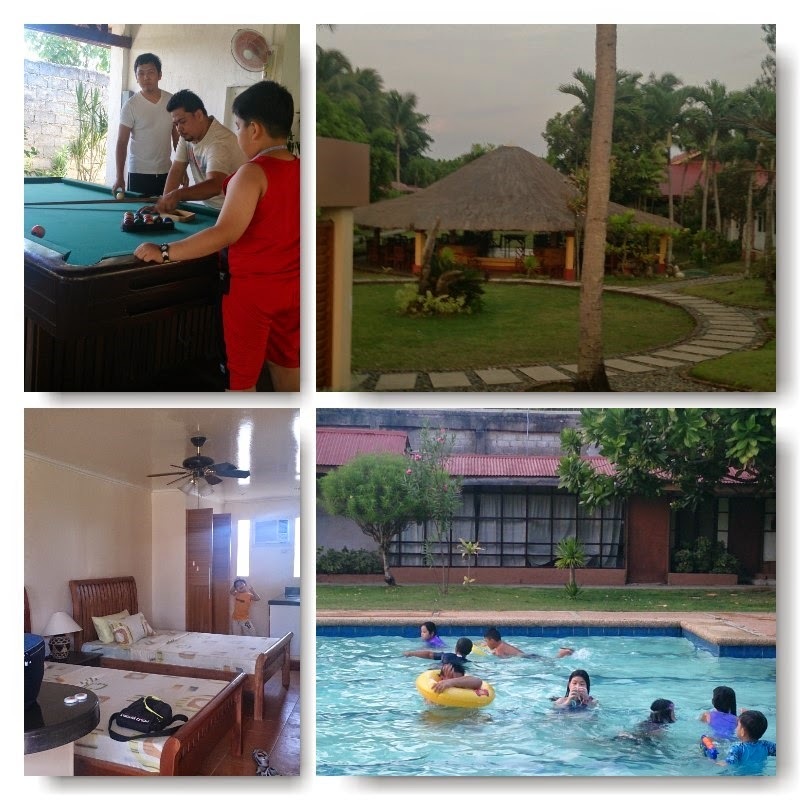 Our trip was on a Holy Week and the resort was a little off the poblacion, so there was very little happenings. But it was okay, it was fun bonding with my kiddos, who obviously doesn't mind we weren't doing anything so long as we were together (I so love these boys)! We stayed at Happy Ripples Resort, in the far away Magbilao Pangasinan, booked via Agoda (which is how I would normally book hotels). Do keep in mind that this is a basic resort and not a luxury hotel. For the price we paid (with free breakfast), this resort is actually a very good find! Happy Ripples is located right next to the beach, it was perfect for my sand addicted kiddos. The sand, although not powdery white like Boracay, was fine enough for early morning or late afternoon barefoot (even for my boys) beach strolls. We were welcomed to a studio room with two double beds (fits four medium size adults comfortably). The place was decent and clean, however, there were no standard toiletries offered (just soap and shampoo). Beds were just okay, none of my boys complained (but then my boys are cowboys, and I am a queen, so I felt much better using my own linens. It was good I brought one). I think they were so tired with their beach frolicking they automatically shifted to sleep mode, right after they went to bed. Electricity was a bit of a problem, fluctuates every now and then affecting the air-conditioning (will not cool in the afternoon, but it was very cold at night - so it was again just okay since we were out beach bumming day time). There is a TV in our room, but no cable. Reception was also poor we only get two channels (hahaha)! Pool is small, but I think just right for a resort with only 10+ rooms. Cell signals (Smart, Globe and Sun) were bad from our room, but works well from their view deck, were you get perfect view of the sunset. Food was not superb, but was good and plenty. We could take our meal anywhere in the resort we wish, we would almost always have it up the view deck of course. The fact that there only limited rooms was great since there were not very many people. We were there on a Holy Week and were so happy we have the beach stretch just to ourselves (and a very few others) unlike the resorts nearby, swarming with people and hawkers. A 3 days hiatus from gadgets and computers. It was just the beach, each other and our imagination. This resort is perfect for some peaceful family bonding time. P.S. 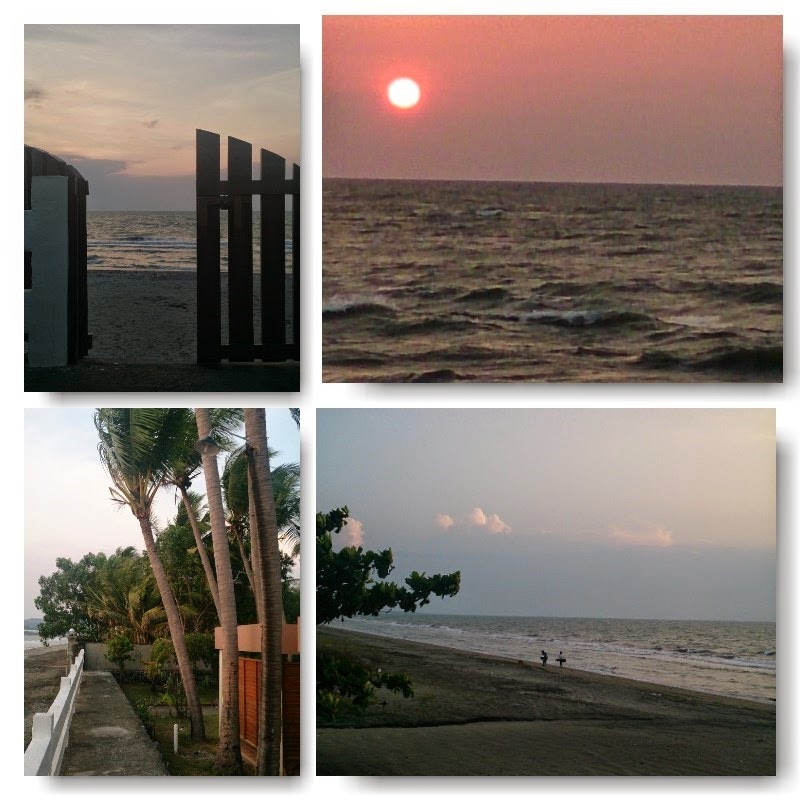 The waves in this side of Pangasinan gets really rough. I do not recommend for families with very small children. Hmmm, old school resort with no cable and internet, I wonder how we'll fare. It seems nice though, I checked the website. Thanks for the tip on using Agoda for bookings...I'll check that out.